Most trends go out of style as quickly as they came in, but some linger a little longer. This millennium seems to have gone through its fair share of trends already — from jelly shoes to all-jean outfits to chocker necklaces to crop tops and name plate necklaces, plus a thousand others that I’m sure you can call to mind. Being trendy is usually a good thing because it means you’re in tune with the times and are, most likely, considered cool. Recently we’ve noticed some trends that have overstayed their welcome. These things cause people who’ve moved on from said trend to roll their eyes and wish people would “get with it”. The girls who cling to these overused styles, words and games are now labeled as “basic”, which is also a trend the needs to end. Unfortunately for those who move on quickly, trends don’t phase out overnight. It takes people quite awhile to move on from their beloved phase and often trying to force them out of it only makes them cling tighter. Check out this list of trends that have been around way too long and really need to just disappear. We’re all guilty of holding on a bit too long; are you already over all of these trends, or are you still stuck to a few? A freemium game is one that you download for free, but features, functionality and goods on the game are all charged at a price. Some of these games only let you play to a certain level for free and once you’ve reached that, you have to buy the game in order to continue playing. Gaming companies hope that by offering the game for free, people will get hooked so deeply they’ll be willing to spend actual money to enhance their virtual experience. One notable example of this is with Smurf’s Village, an app that was released in 2011. In the game you build a village with currency, but once you run out you have to use your real money to purchase virtual coins to keep the game going. Since the game was geared toward adolescents, many of them spent hundreds of their parents dollars without them realizing until it was too late. Other services, that aren’t games, do this as well. LinkedIn can be considered a freemium platform since the basic service is free, but to fully utilize the feature, you have to pay. Online streaming services like Hulu and Netflix offer users a 30 day free trial, that automatically charges their card for the full service if they don’t cancel at the end of their trial. While freemium services make money for the company, they’re really annoying for consumers because they’re falsely labeled as “free”. People are catching on to this trick,m and it’s expected that the trend, which hit a peak in 2014 with money spinners like Kim K’s Hollywood app, will finally die out this year. Yes, this is about those cute, little, yellow guys who babble incessantly from Despicable Me. They’ve been insanely popular since the release of the first Despicable Me movie. They played an equally big role in the sequel and are scheduled to have their very own movie released this summer. People have gone minion crazy since then. If you ever go to the fair, most of the toys you’re able to win are minions or the unicorn Agnes really wanted. If you look in a claw machine? Chances are it has some, if not all, minions in it. 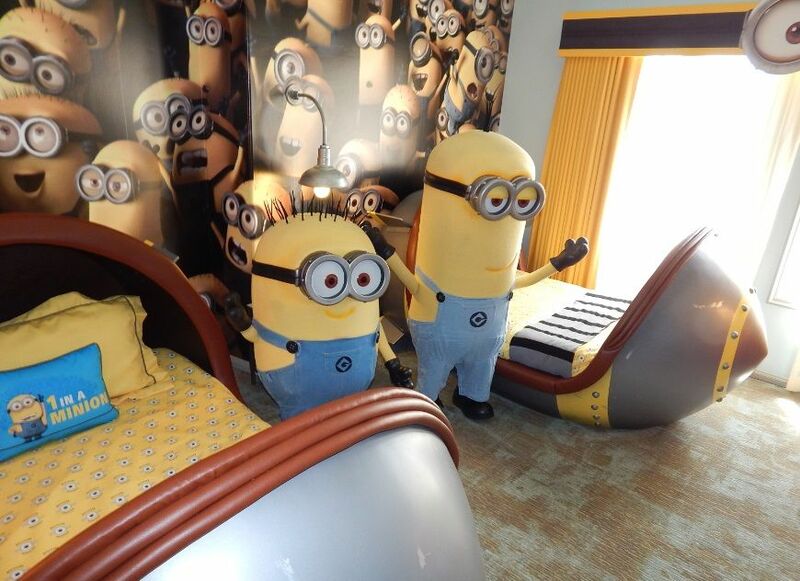 People are dressing their kids as minions for Halloween and decking out kids bedrooms in complete minion themes. It kind of seems like they’re real since you see them EVERYWHERE. It’s no wonder this trend has been around so long and with the rise of their new movie, they’re sure to be around a lot longer. I’m guilty of still being caught in this phase and will definitely be in line to see the new movie. Let’s just hope people tone it down the minion love a little bit. This one seems a little random, but let me explain. With all the online streaming services available, it seems that cable is becoming obsolete — just another trend that’s fading out. Netflix and Hulu are taking over the scene, families and college kids everywhere are logging millions of hours on these sites due to their convenience. Netflix offers no commercials and Hulu only plays a few. It seems that more often people are logging in to watch series instead of sitting in front of the TV. Some series, like House of Cards, aren’t even available on cable television and make solo premiers online. House of Cards is one of the most popular shoes in the last year and has a die hard following; this is the first time a show not aired on conventional television has made a splash this big. It won’t be surprising that people in the future will stop subscribing to cable television and instead will only pay for these online providers. Online streaming services offer a selection nearly as comprehensive as actual cable and do so at your convenience. You don’t have to worry about times or recordings because it’s all there for you; no wonder people love it so much. Remember a time before there were fro-yo stores on every corner? A time before you even knew what fro-yo meant? It’s been a long time since before frozen yogurt was so popular. Now it seems you can stop virtually anywhere and find a frozen yogurt shop. There’s chains and individually owned ones, but they’re all the same. Even still, people find a way to differentiate and have their favorite brand. 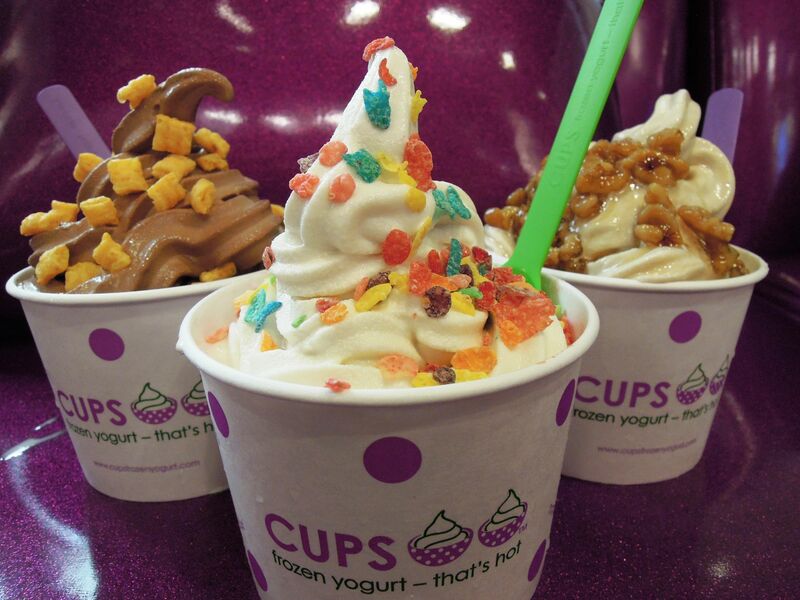 Frozen yogurt is the perfect treat on a hot day, especially since it’s a healthier alternative to ice cream. In our health-crazed culture, people probably turned to fro-yo because it’s the “healthy” sister to ice cream, but when you see what people load it up with, it’s not much better. This trend has been around so long it seems it’s here to stay. Can you find a girl today who doesn’t have love, peace or breathe tattooed on her wrist? It seems like every time I log onto a social media site, there’s a picture of someone getting a tattoo. Most of the time, the things people get are so played out. Inspirational words/quotes (frequently in white ink) are popping up everywhere. The plus side of this fad, is that you can get a little insight into what a person is like. If she has “breathe” tattooed on her wrist, she may be dumb and needs a reminder to respirate. If he has a tribal band around his bicep, he’s probably a tool. If they have a worm coming out of a book on their chest, they’re probably a little weird. Ok, obviously these aren’t true all the time, but they’re some of the pretty common stereotypes. At least this trend will lead to another money making fad in the future — tattoo removal. When all these people who jumped on the bandwagon in their 20s realize what they got inked was totally stupid, the tattoo removal industry will be making even more money than it is now. Hopefully by then, there will be an easy removal cream! You’ve most likely stumbled upon a random YouTube video while looking for something else. The worst is when you’re looking for a TV episode or a movie and you click on the link you finally found that looks promising and instead of what you hoped to find, you get a random person giving an hour and a half long opinionated, irrelevant commentary of what you wanted to find. You notice that the video has only 43 vies and you wonder why this person has a YouTube channel. It seems like everyone has one today filled with makeup tips, commentaries or covers to songs. People must think that since Justin Bieber and Taylor Swift were discovered over the Internet, that they too may get famous for their channel. Instead of getting famous, they end up annoying most people. These people post their YouTube link in every bio in hopes that they’ll become an overnight sensation. Let’s hope people soon realize they don’t really need to “broadcast [themselves]”. Zombie movies, zombie tv shows, zombie games and zombie costumes. When will it end?! It looks like the zombie apocalypse has already struck and it came in the form of warm-blooded humans posing as flesh eating monsters. The hit TV shoe, The Walking Dead, is to blame for perpetuating this cult obsession. People have forums, groups and viewing parties each week to watch the new episode. It’s surprising that the zombie trend has been around so long considering it isn’t a new phenomenon. It seems like people jumped on the zombie bandwagon because the creepy creatures sparked a fascination in some Hollywood producers. This trend has been too popular for far too long; it’s time for these undead creeps to finally die before the trend takes over the world. At least these were created with a convenient function. 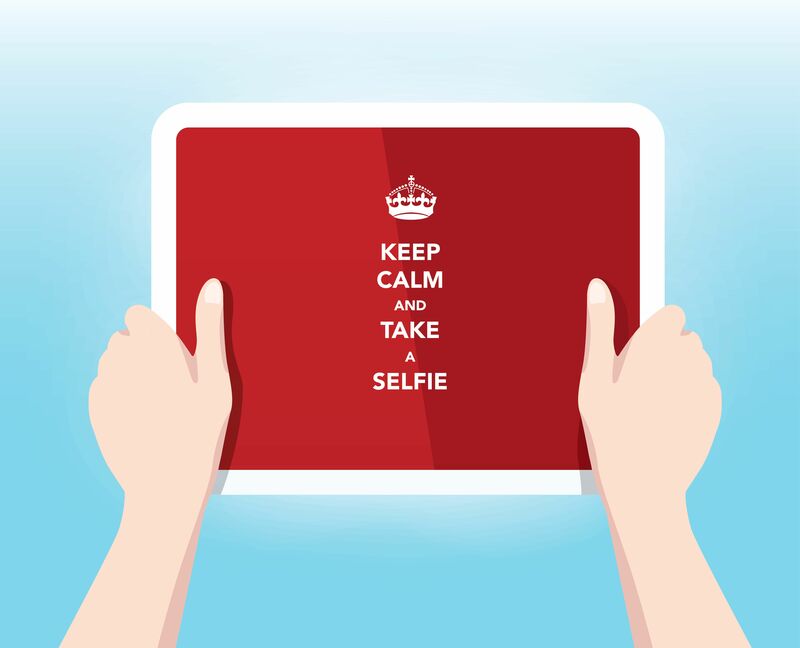 The hashtag originated as a social media aspect that users could place in captions in order to group similar photos, but people have gone #crazy. If you log on to Twitter or Instagram (the original hashtag creators) you can find users who have 20 hashtags on a post in hopes of garnering more likes or followers, which hashtags can do. The hashtag become so popular that it jumped to Facebook where Facebook coders created a function on statuses specific for the hashtag. Since statuses on Facebook don’t really need to be grouped by similarity, this appearance is solely to satisfy users hashtag needs. The hashtag seems to have reached it’s peak popularity in the past year so now we have to wait to see if it’ll finally #decline. #goaway. EVERYWHERE. Too many of them. You’ve seen them on people, cups, mugs, sticks, TATTOOED ON FINGERS, pets and cars. What’s so great about fuzzy facial hair? This is one of the most popular and long-lasting trends in a long time…and it’s not even a good one. The mustache started as a cute prop in photo booths for girls to hold up, but then it got so popular it popped up on everything. Girls seem to be the ones who were really into them too, which is weird. You’ve seen pictures of girls with the mustache on a stick or pictures with them and their mustache mugs and I’m sure you’ve seen a Lyft car with a hot pink fuzzy mustache strapped to the grill. The trend seems to be continuing and has taken root in hipster culture where REAL mustaches (and beards) are insanely popular. Unfortunately, this played out trend doesn’t seem to be going anywhere. That crispy delicious breakfast food was so popular it became a cultural trend. I once saw a post on Facebook where someone shared they had ordered bacon flavored toothpaste, which is just nasty. That shouldn’t be a product that’s made, but bacon became so popular it took over every front. Stores sold bacon shirts, keychains, bandaids and everything in between. If people love bacon so much, why don’t they just stick to eating it? Does wearing it on your shirt really give you any kind of gratification? Bacon seems to have more of a die-hard following than a lot of bands. People should stick to just eating bacon as a breakfast food, but not too often since it’s really high in cholesterol and fat. Stop. Keep Calm and Stop Making These. The first one was okay, keep calm and carry on, because it was an actual quote with a real meaning, but people got way too carried away. Keep Calm and _______ took over the world. It made appearances on shirts, cups, computer cases, key chains, wallets, pretty much everything else. This has been, by far, the most pervasive and annoying trend to date because most of them don’t even make sense. For example, Keep Calm and Love Bacon (to tie in the bacon trend). What does that mean? How will loving bacon and staying calm make anything better? Let’s keep calm and stop making these.